William Henry is an American brand creating timeless personal style for men through unique accessories crafted with honor and integrity. William Henry is devoted to the vision of designing and building the finest tools, one piece at a time, heirlooms that will serve and enrich the lives of generations to come. The seamless integration of classic natural materials, precious metals & gemstones, and state-of-the-art alloys is a hallmark of William Henry's work. 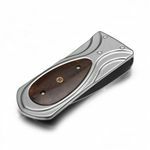 But what makes this brand so distinctive is that it has proudly retained the aura and feel of an artisan workshop, where the final fit, finish, action, and sharpness of each piece is achieved entirely by hand by William Henry's master craftsmen. Made in the USA. 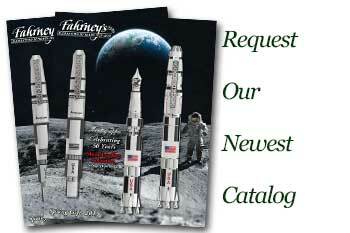 William Henry Limited Editions - Available for a short time at Fahrney's Pens.